I started running in June 2012. After struggling with an eating disorder (starvation, bulimia and then compulsive overeating) for years, something finally clicked. I no longer wanted to live in a depressed state, unhappy with my body and my life. I had been going through therapy and one thing my psychologist always said was that I had to find a way to workout without hating it or getting obsessive about how many calories I was burning. When I found running I no longer counted my calories, instead I focused solely on becoming a better and stronger runner. If you have ever spent any significant amount of time on the stationary bike or elliptical at the gym like me, you know that you can put in minimal effort which gives your mind plenty of time to wander. If you are like me, you start obsessing over the time remaining, how much you ate that day, how many calories you “need” to burn and so on. When you start running it is HARD. You no longer have the capacity to think about calories because you’re just trying to keep breathing! Or at least that is what it was like for me. The first couple of weeks of Couch to 5K were very difficult for me. My breathing was erratic, my calves burned after only 30 seconds of jogging and I wondered how I would ever get up to one mile let alone the 3.1 that is required for completing a 5K. Aside from my boyfriend I didn’t tell anyone I was doing Couch to 5K because I was embarrassed that I was so out of shape, and I also knew I would be mortified if everyone knew I failed to complete the program. Most Couch to 5K training plans last 12 weeks. I took almost seven months. In the beginning I didn’t stick to the 3-day-a-week running plan strictly. Some weeks I would only run/walk for one day so it took me forever to get through the training. In October I signed up for my first official 5K and after that I knew I needed to get serious and that’s when I really began training. I stopped following the Couch to 5K plan and created my own plan which mostly consisted of run/walking 2 to 3 miles three times per week. My breathing was still erratic, my calves still burned and many times I was ticking off 15:30 or 16:00 minute miles. Sometimes 16:30 or 17:00 minute miles depending on how tired my body felt. No matter how slow I was moving, I never stopped. I kept at it and in February 2013 I completed my first 5K! Before the race I worried if other runners at the 5K would laugh at me, think that I didn’t belong, say rude things to me, but of course none of that happened – I am glad I didn’t let those thoughts hold me back! After crossing the finish line for the first time I was truly bitten by the running bug! I loved the sense of accomplishment and pride I felt at doing something so hard, and I decided I wanted to run longer races. I trained for my first half marathon in the summer of 2013 and finished the Fort Lauderdale Half in November 2013 with a time of over 3:30 hours. That race was long, it was hard but it was worth it! After running my first half I was bitten again by the running bug, and despite my slow half marathon finishing time I knew I wanted to train for a full marathon! 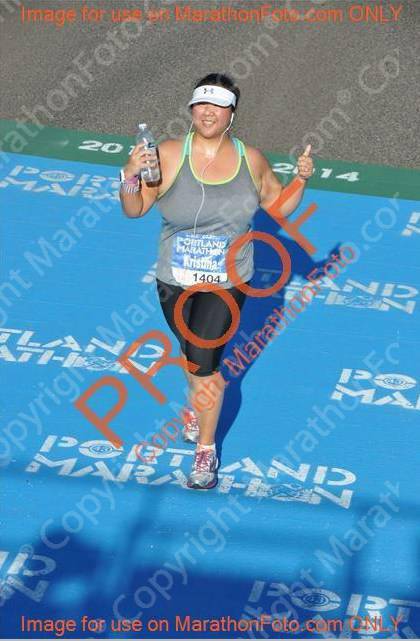 In October of 2014 I successfully completed the Portland Marathon — all 26.2 miles! It was a tough day, I struggled through the second half mightily and I was disappointed with my finishing time of over 7 hours because I knew I was capable of better than that. At first I was just incredibly disappointed with my marathon debut, but after some rest and reflection I realized just how incredible it was that I was even able to finish a marathon having been so sedentary for most of my life! Just one month later I ran the Fort Lauderdale Half Marathon a second time and finished in 3:02! That means in one year I was able to reduce my finishing time by thirty minutes! I am now training to complete have finished a half marathon in under 3 hours 2:57 and I will also be running my second full marathon this year in Chicago, and I hope to beat my Portland time by a lot. I had on idea when I started running how much I would grow to love it and how much it would change me as a person. I no longer feel overweight and lazy, I feel strong and full of life. Even on the days when I have a disappointing run or race I know that I’ve come so far since day 1 as a total beginner. Knowing I can complete a full marathon reminds me that I am mentally and physically tough. I’m a completely different person now than I was in June 2012 when I was still struggling to get over my eating disorder and had incredibly low self confidence. Running has changed my life. If you are a beginning runner I hope that you’ll follow along with my training updates and feel free to email me (runkristina@gmail.com) or send me a DM on Instagram anytime! If you’re just getting started with running I wish you the best and please feel free to email me (runkristina@gmail.com) anytime! Thanks Mary-Kate! I’ll definitely check it out! Good for you for turning your life around! Starting to run is hard, but once you start you will never want to give it up! Good luck to you and keep running! Thanks for this post – I bet it will inspire a lot of young girls and boys who are suffering from eating disorders! Thank you for the information here. I am a newer runner, I started in May of 2016. I am currently training for my first half that is on April 30, 2017. 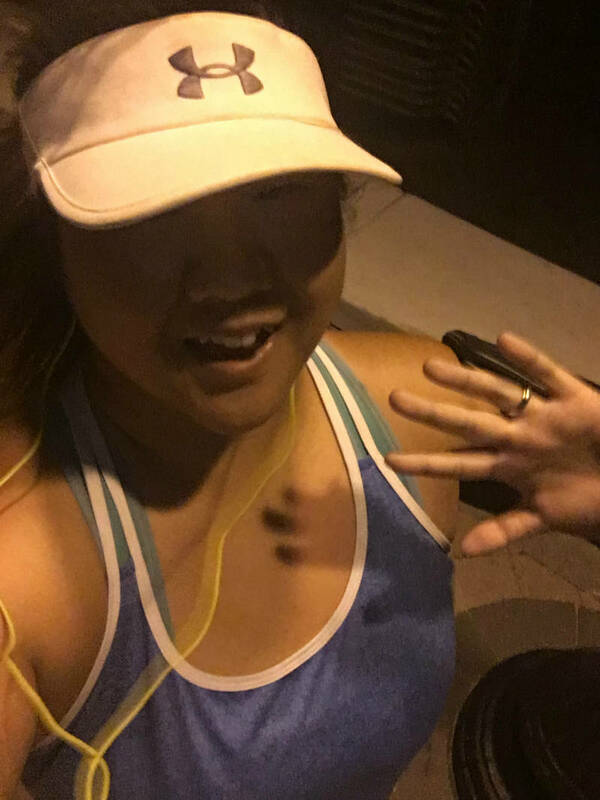 Yesterday I just ran 8 miles for the first time, which is actually how I came across your blog. I am currently in bed(1am) trying to figure out how to start preparing for a 5k (im a beginner) this post shows you care and want to be positive/supportive of others, thats Awesome. So from a random person online Thank you. Sorry if my words are clumsy (it is 1am). It’s great to be able to track and feel the immense improvement in such little time! Good for you for achieving your goals! I am sure that you are a huge inspiration to all those people out there who cannot step out of their comfort zone and begin leading a more active and healthy life! Thanks! Its great to hear from you that if you wants to achieve something, you can start from the streach again .You are an example of inspiration to all. Thanks alot for sharing inspiring story. Good luck lady! Thank you for that congratulations to those who accomplished their first quarter mile run, it put a smile on my face because I am one of those! Woohoo, it felt good like a pat on the back. I’m 50 and I think I just found my passion but i’m just starting, have been trying to start earlier this year but wasn’t serious (I admit I was lazy). This month I started tracking my runs on a calendar and I can see the progress and set backs which has really motivated me, one of these days I will try a 5K but for now my goal is to get to two miles within 30 mins. Just tell me at the rate I’m going, how far away do you see my 5K? I absolutely loved reading this. I started running three years ago, and went from nothing to training for my first marathon. I’ve suffered with disorder eating before, but similarly to you I found with running I discovered that I wanted to fuel my body, I felt proud of it, and I wanted to do the best I could. Something that could have been obsessive and dangerous became the start of a much healthier and stronger version of me. It’s so lovely to read a positive story of how valuable it can be learning to achieve and be proud of your body. You’ve done amazing things, I hope you’re incredibly proud of yourself! I’m also an amateur runner, and after missing out on running my first marathon last week, I finally decided to bite the bullet and have a go at writing my first ever blog. I’m hoping it’s going to be another positive thing to help my start this next phase of my running journey. But I’m quite new to all this! 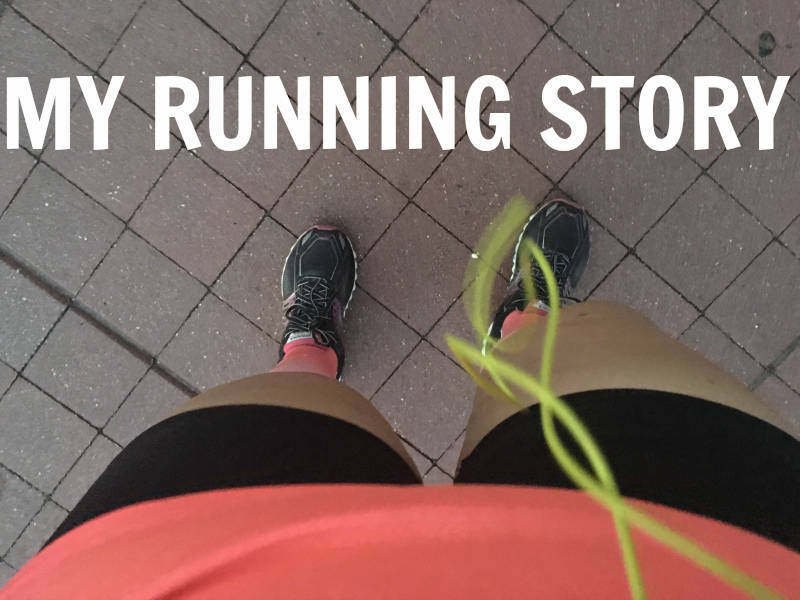 Thank you for the great inspiration on starting a runner blog! I am in the same boat as you and have started my own blog to talk about the journey from not being a running to becoming a runner. Love your recent posts too! Good for you! Your story rings very true for me! I started training for my 1st 5k back in 2013 because I would get very winded just going up a single flight of stairs! 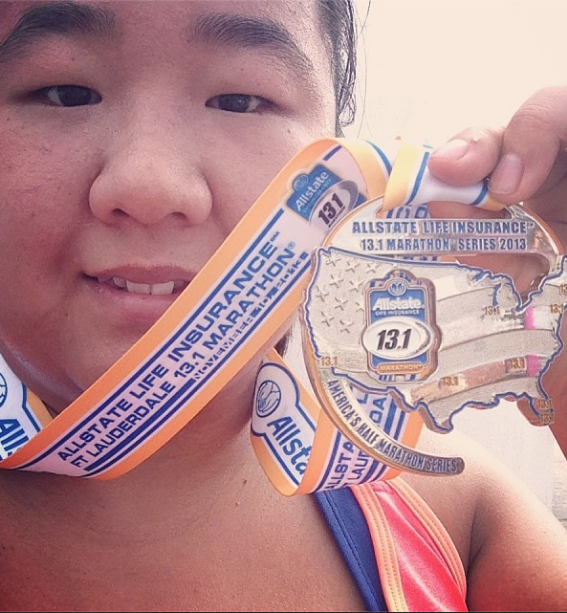 I’m glad to hear you ditched the couch to 5k plan and created a plan of your own. That shows determination and resolve! I also designed my own training plan and have gone from 5k to Half Marathons to Spartan TriFectas and now am signed up for my first ever Marathon! Thank you for sharing your story, it’s inspirational to know there are other people out there with the resolve to change their lives and gain control of their health! Keep at it! hOur company offers weight loss products. Look at our health contributing portal in case you want to feel better. Our company offers a wide variety of non prescription products. Take a look at our health portal in case you want to to improve your health with a help of general health products. Our company offers a wide variety of non prescription drugs. Visit our health site in case you want to feel better with a help generic supplements. Our company offers supreme quality pharmacy. Take a look at our health contributing portal in case you want to improve your health. Our company offers a wide variety of non prescription drugs. Visit our health site in case you want to to improve your health with a help general health products. Our company offers herb-based healthcare products. Take a look at our health contributing site in case you want to look healthier. Our company offers a wide variety of non prescription products. Take a look at our health website in case you want to to improve your health with a help of generic supplements. Our company offers a wide variety of non prescription products. Take a look at our health site in case you want to to improve your health with a help of health products. Our company offers a wide variety of non prescription products. Visit our health website in case you want to strengthen your health with a help of generic supplements. Our company offers safe pills. Look at our health contributing website in case you want to look better. Our company provides herbal healthcare products. Visit our health contributing site in case you want to strengthen your health.